A VDOT highway safety worker was hit and seriously injured Friday as he protected a disabled motorist along I-95 in Fairfax County. 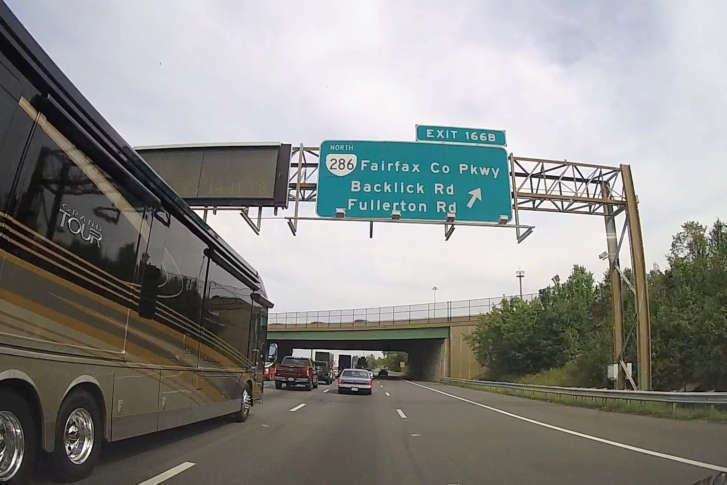 SPRINGFIELD, Va. — A highway safety worker who was trying to protect a disabled motorist along Interstate 95 was struck by a hit-and-run driver, according to Virginia State Police. Friday morning, approximately 6:20 a.m., a VDOT Safety Services Patrol unit had responded to help a car that was stopped in the northbound lanes of I-95 near Exit 166B — Fairfax County Parkway. The employee, who is a man, parked his vehicle on the right shoulder, with its sign board and emergency lights flashing. As the employee was setting out safety cones, he was struck by a green Ford Mustang traveling north on I-95. Police say the driver of the Mustang fled the scene. Eyewitnesses and local police were able to locate the driver, and detained him for questioning. The VDOT employee was transported to Fairfax Inova Hospital and is being treated for serious injuries.